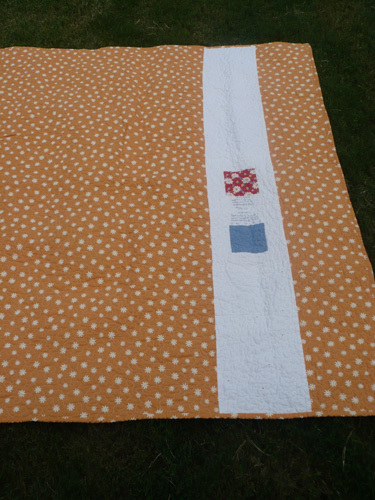 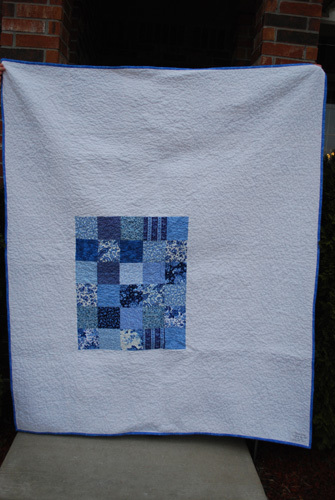 Here’s a fun table runner made with Nautical and Nice by Sandy Gervais for Moda charm squares. 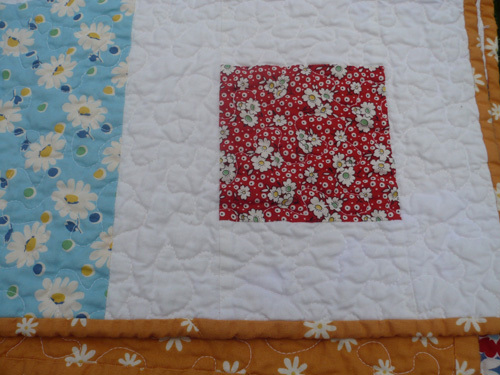 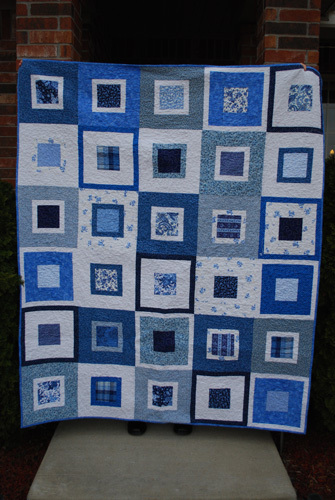 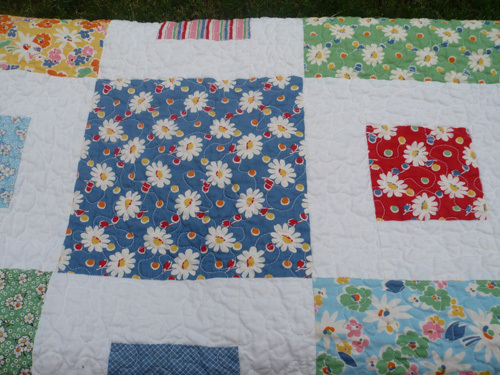 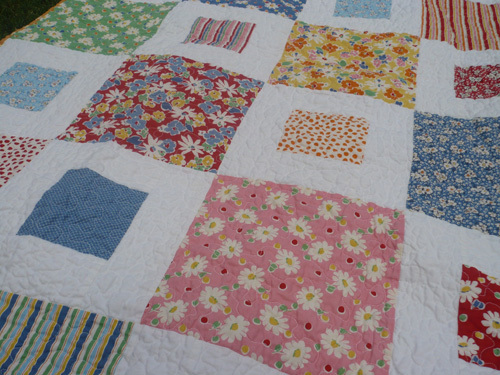 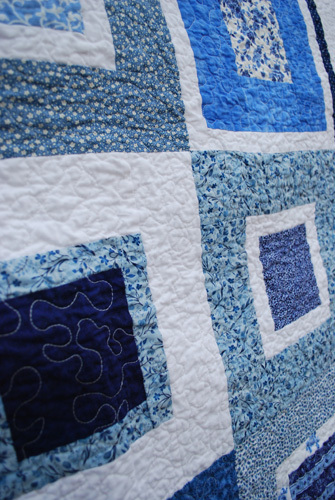 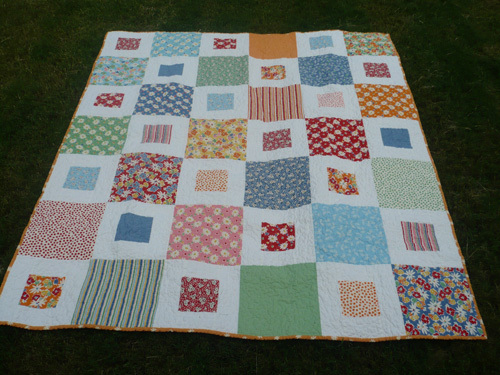 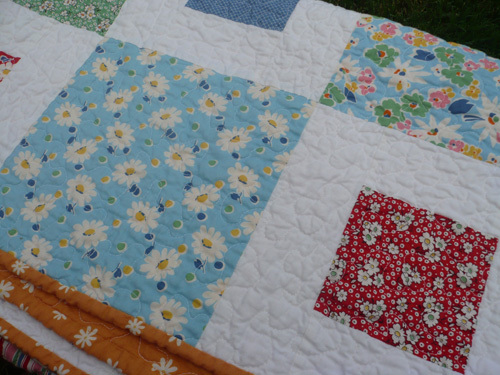 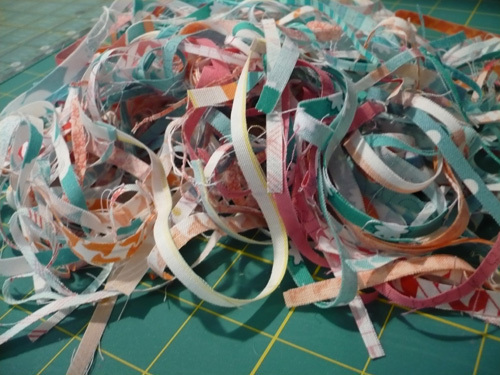 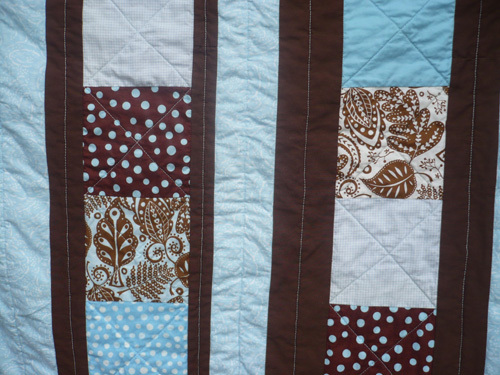 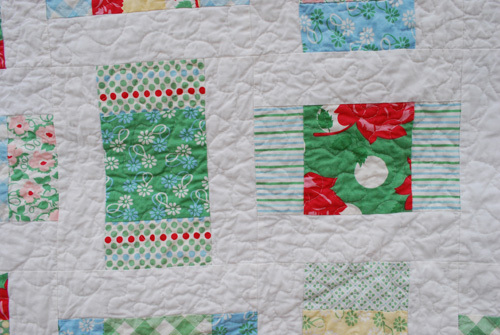 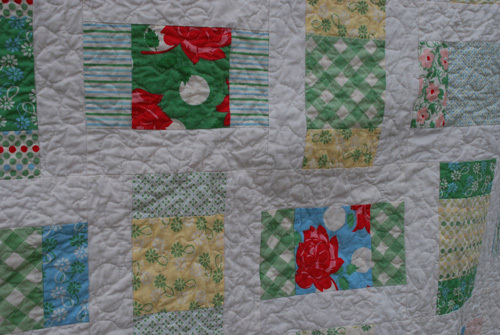 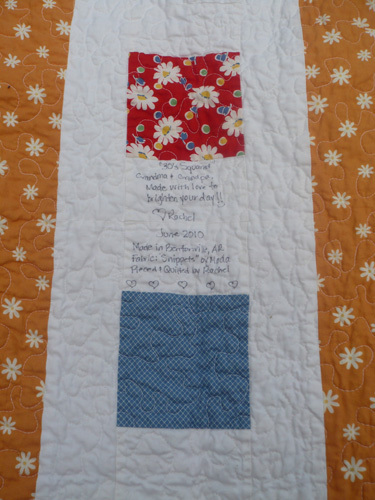 The quilting is simple, just a few straight lines. 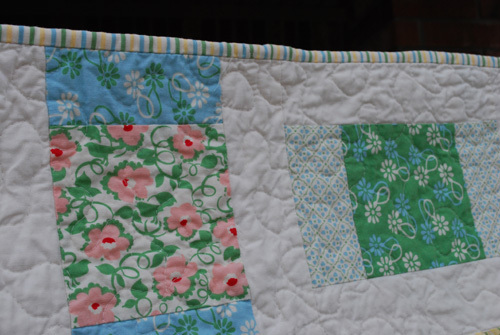 The more straight line quilting I do the more I realize I’m a stippling kind of girl. 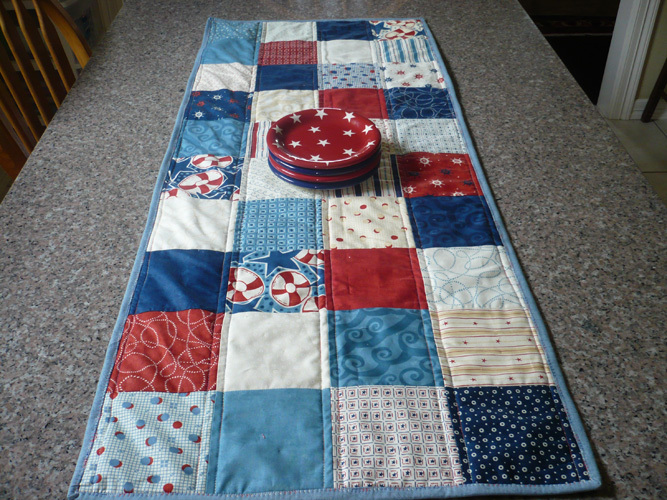 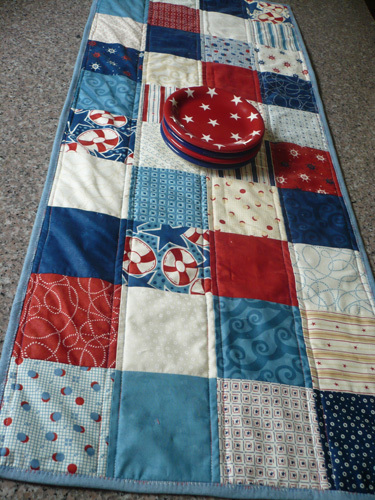 But I do like this runner, and it’s patriotic with the red, white, and blue. 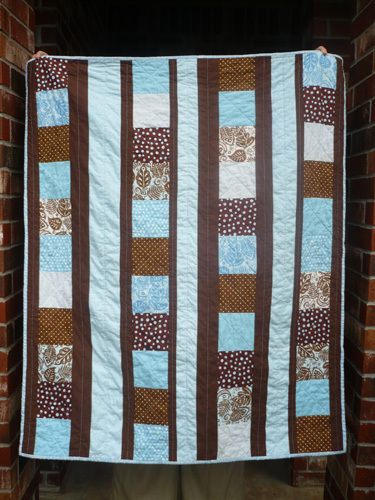 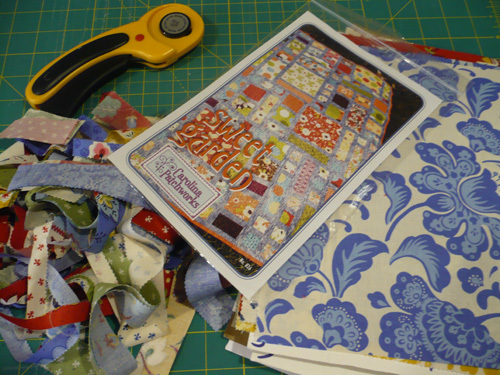 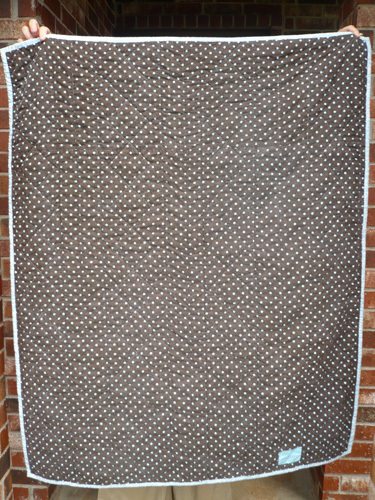 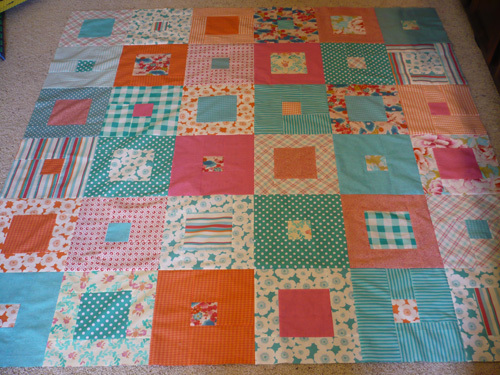 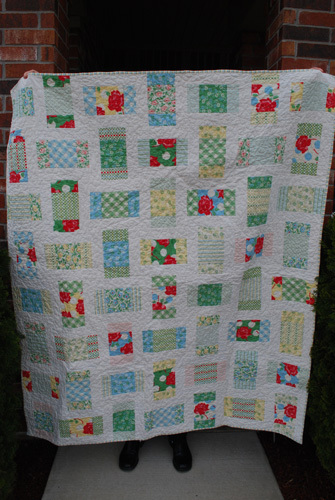 I managed to hammer out the quilt top using the Snippets layer cake 2 weeks ago. 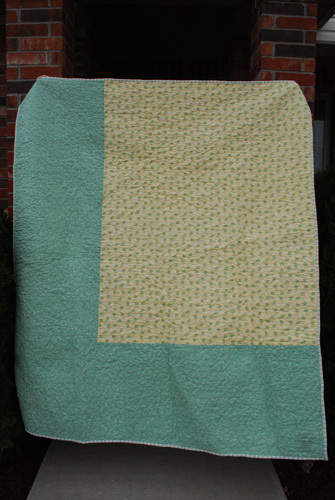 The quilt top stayed nicely folded for some time, because I couldn’t find the time to actually quilt it. 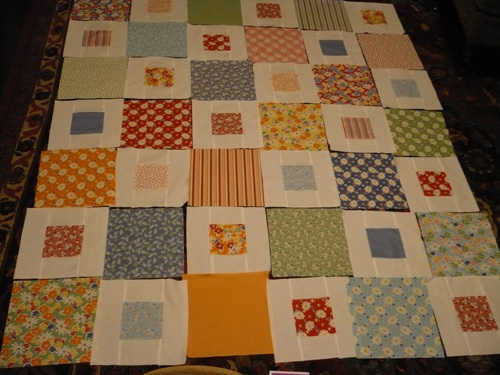 When I quilt I like to have a big block of time to just sit down and quilt. 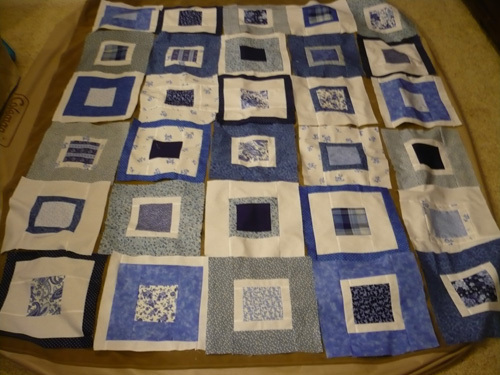 Sometimes those big blocks of time are few and far between. 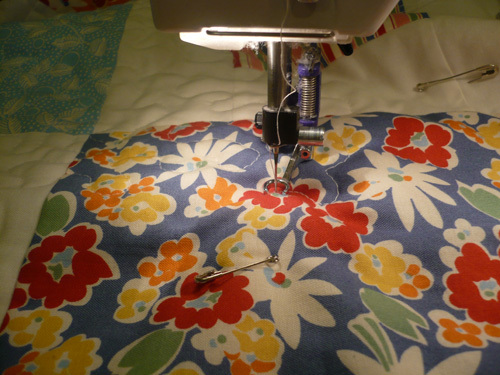 Most of the time I quilt when Steve is out of town on business. 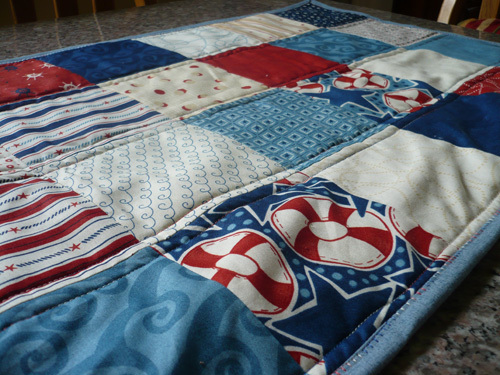 He had a series of canceled trips, so no quilting time for me. 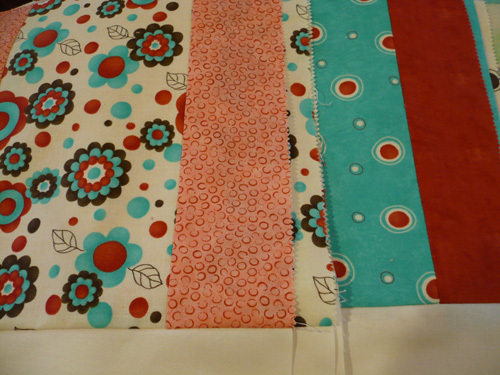 But now he’s on a trip, so after my kiddos were in bed last night I decided to quilt.